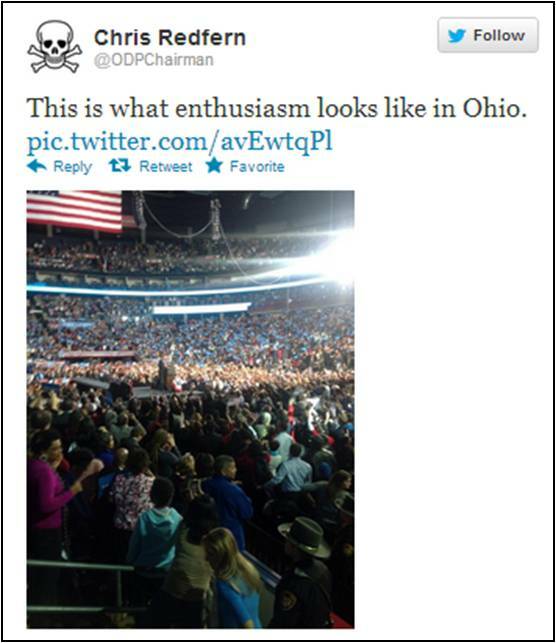 It’s entertaining to hear from Ohio Democrats trying to spin the latest Obama rally as a success. For those outside of the Columbus area, Obama held a rally today with The Boss and Jay-Z to help drum up support. Heck, I know more than a few Republican Springsteen fans that turned out, just for the music. Apparently 6,000 empty seats is a success to Ohio Democrats. Then again, you’ll have to excuse Chairman Redfern’s poor math. He thinks he lives in a district 100 miles away from where his residence is actually located. But even those at RealClearPolitics picked up on the apparent lack of enthusiasm, despite the rally’s star-power. 30,000+ in West Chester last Friday. 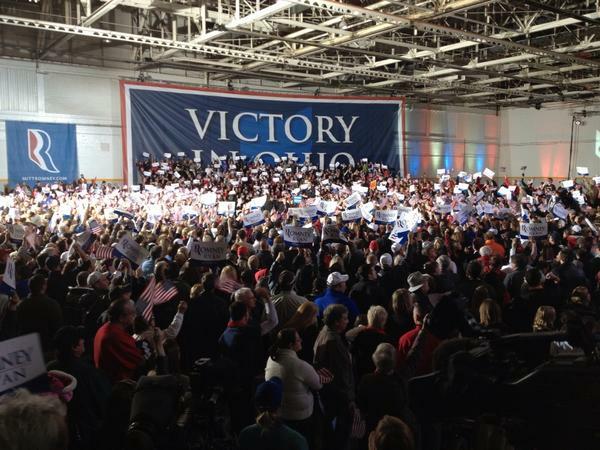 What’s more, the Columbus rally above was over-capacity, needing 2,000 seats for the overflowing crowd. So just a couple days from Election Day 2012, President Obama can’t even rally enough enthusiasm to surpass a horribly failed presidential candidate–in heavy-Democrat Northeast Ohio?! No wonder the polls show the President needs to meet or surpass the historical Democrat turnout of 2008 to even have a chance to win this thing. Let’s show Democrats what true enthusiasm is. Get out the vote, get your friends, family & colleagues to vote. It’s time to ensure Obama lives up to his one-term proposition.